Lindsay Fiore is a partner in the Labor & Employment Practice Group. As an experienced trial lawyer, she defends employers against single and multi-plaintiff employment cases that include claims related to age, race, and disability discrimination, sexual harassment, hostile work environment, retaliation, whistleblower allegations, and wage and hour issues. She also handles suits brought by the Equal Employment Opportunity Commission (EEOC) and has defended employers against unfair labor practice charges. 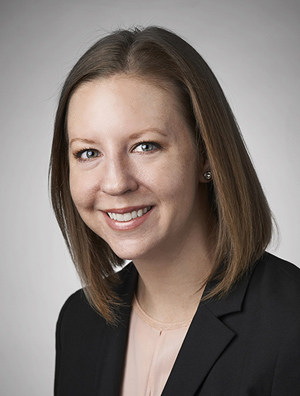 Lindsay is a frequent presenter on topics related to Title VII, the American with Disabilities Act (ADA), the Family Medical Leave Act (FMLA), the Fair Labor Standards Act (FLSA), and the National Labor Relations Act (NLRA), and Arizona Earned Paid Sick Time law. She has been recognized as a Southwest Super Lawyers Rising Star in Employment & Labor annually since 2014.